The wait is over! 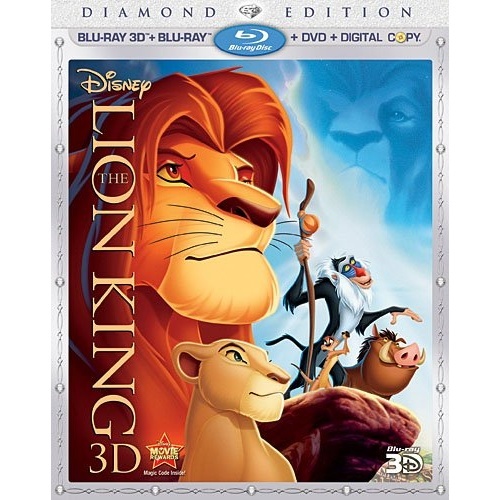 For the first time ever, experience the majesty of Disney's epic animated masterpiece as it roars onto Blu-ray and Blu-ray 3D! With a spectacular picture, spine-tingling high definition sound and immersive bonus features - you will feel the love for this critically acclaimed and universally beloved classic like never before! Embark on an extraordinary coming-of-age adventure as Simba, a lion cub who cannot wait to be king, searches for his destiny in the great "Circle Of Life." You will be thrilled by the breathtaking animation, unforgettable Academy Award-winning music (1994: Best Original Score, Best Original Song, "Can You Feel The Love Tonight") and timeless story. 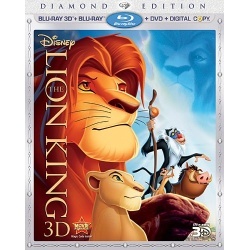 The king of all animated films reigns on Disney Blu-ray 3D - Magic In A New Dimension!